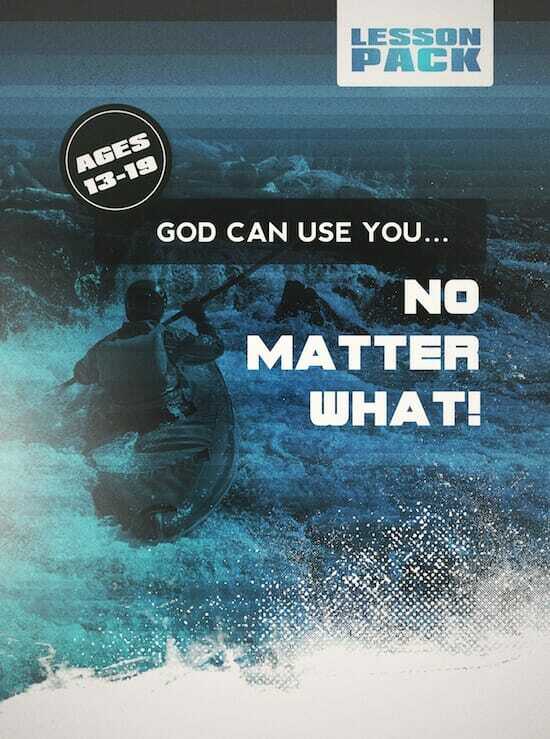 Ready for More Teen Bible Lessons? 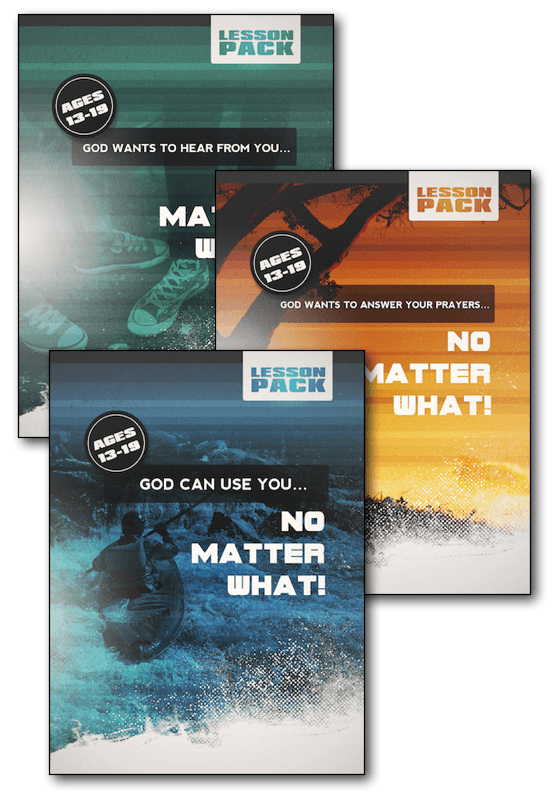 After years of requests, we have developed three brand news lesson packs designed to help teens develop the essential foundational knowledge required for spiritual growth. 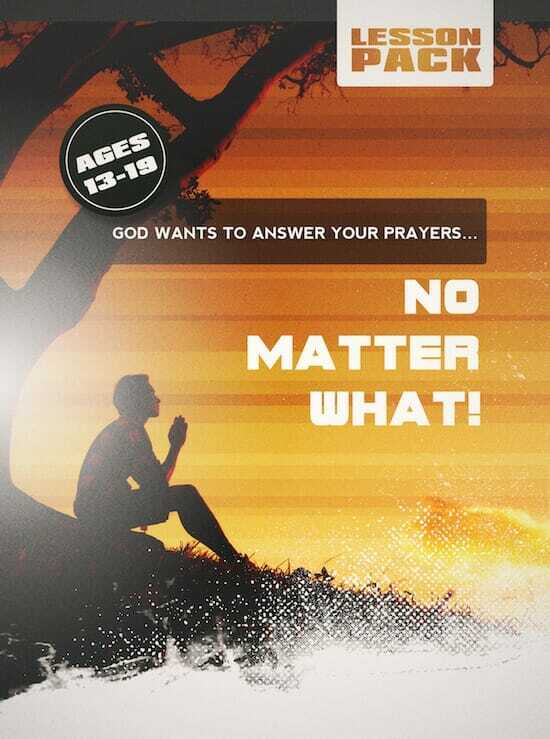 Our "No Matter What" Teen Series was Developed to Complement our "Freedom Ride" lessons. Teens will gain confidence and become more secure in the knowledge that God wants to hear their needs and concerns, wants to answer their prayers and wants to use them in His plans and purposes. 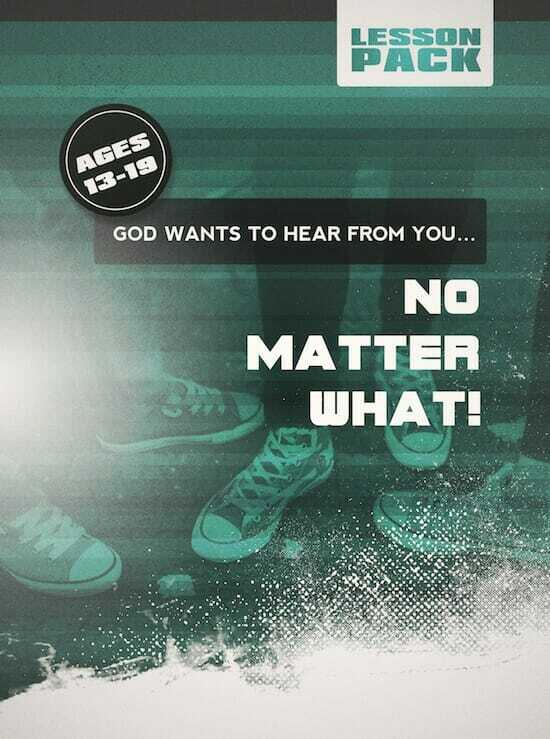 Teens will discover just how valuable they are to our loving God. This knowledge can transform how they feel about themselves and how they begin to interact with others in their lives. Each lesson pack includes 4 complete lessons, for a total of 12 one-hour lessons that can be used periodically throughout the year, or over a three month period back to back. 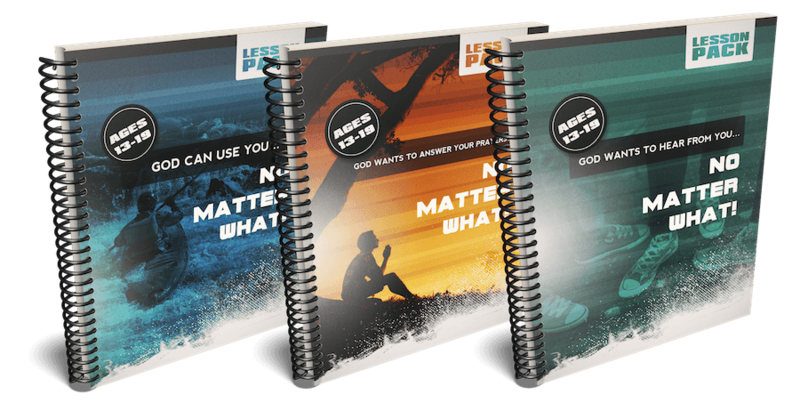 That’s 12 weeks where you won’ t have to worry about being prepared and reaching your teens … as each of these easy-to-use lessons communicates powerfully with teens today! Many teens experience emotional pain, pent-up anger and feelings of unworthiness that can rise like unscalable mountains separating them from the one true God. In this Lesson Pack, teens will learn to focus on the good in themselves AND the amazing goodness of God to develop a strong relationship with the Creator of all things. But God doesn’t always answer prayers in the way we expect. You may not hear a clear voice or see signs in the sky or have a vision or a dream. The answer may come much more subtly. In this lesson pack, teens will learn not just to expect an answer to their prayer but how to recognize it when it comes. They will learn how the Bible is the foundation of all truth from God, and that he does not contradict himself. They will then learn how to stand on the Word while they await an answer to their prayer. The good news is that no matter what life stage a person is at, God can, and wants, to use them to touch other people for the Kingdom of Heaven. In this lesson pack, teens will gain awareness of their own unique gifts, talents, opinions, likes and dislikes and how they can use those things in service to the Kingdom. They will be encouraged to pray about God’s plans for them and to seek greater understanding of how He enjoys including them in his plans. Bible Principles & How God Works in Their Lives. All three of these Teen Lesson Packs are ready to be printed off your computer and taught in just minutes! Simply click on the "Add to Cart" button below and we will take 50% off as part of our introductory special! Your purchase will be backed by our 60-day money-back guarantee, so you have nothing to lose!